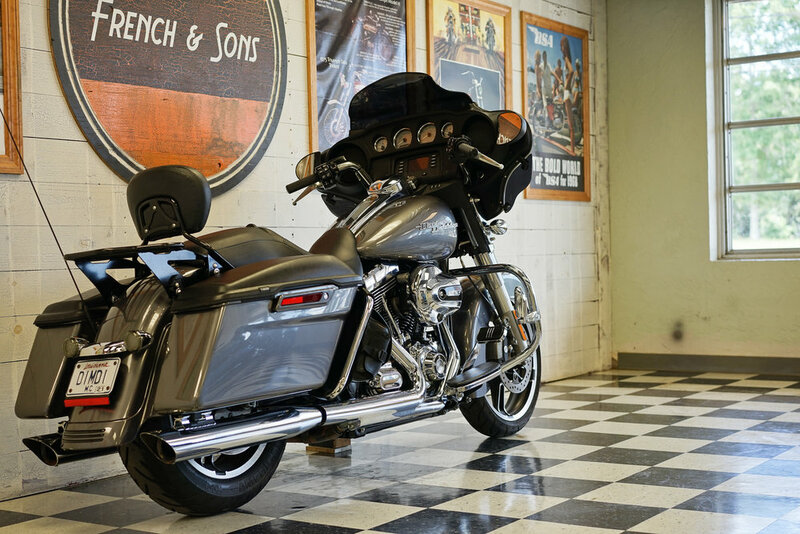 2014 was marked by the introduction of the Project Rushmore engines from HD. 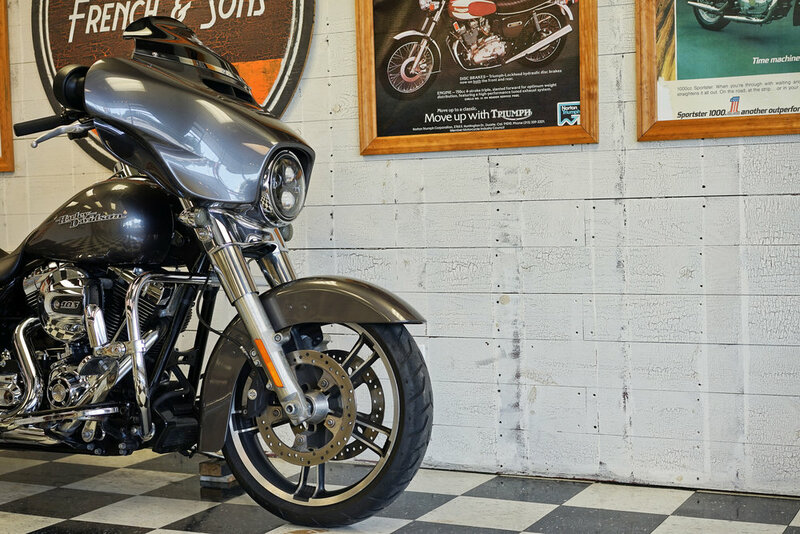 The Street Glide, Harley's best-selling model received some nice upgrades. Such as a new cam shaft and higher flowing, making this 103 a High Output version. Torque numbers as well as Horse Power is up from previous models. 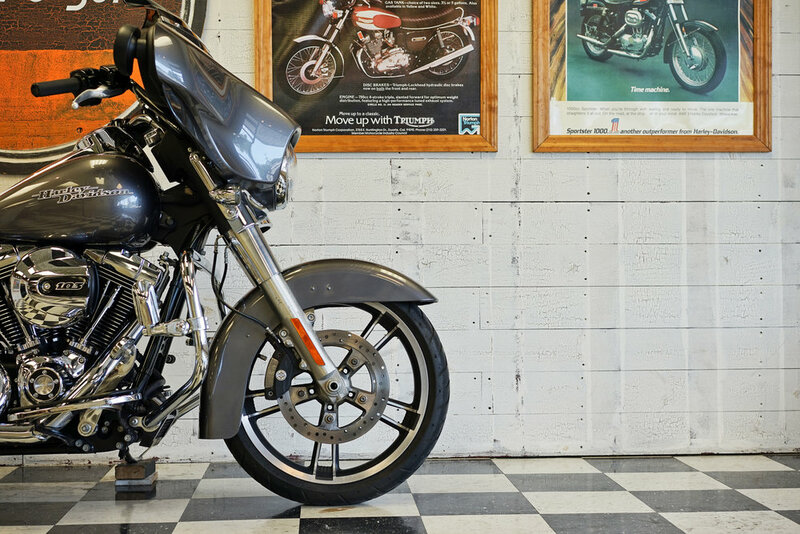 This particular model is in beautiful condition and is ready to ride. 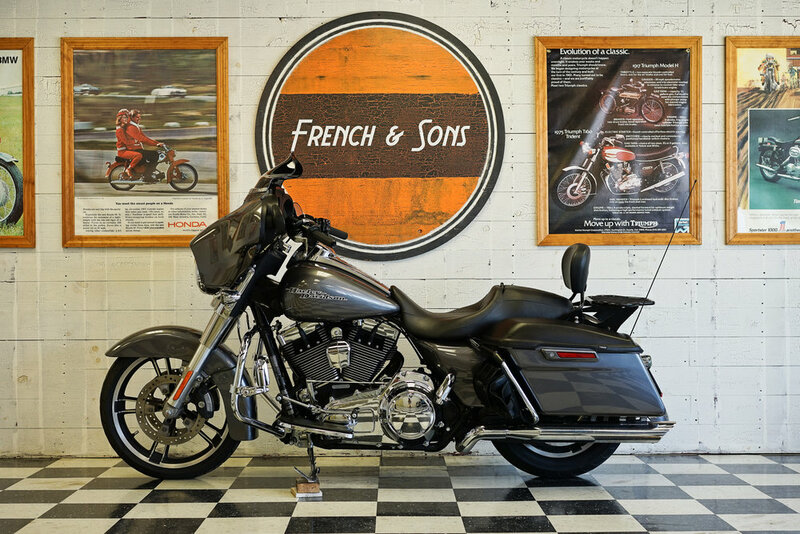 It features a Stage 1 air filter, Python Slip-ons, (2) windshields, saddlebag guards with covers, a detachable passenger backrest with a luggage rack, and Highway pegs. 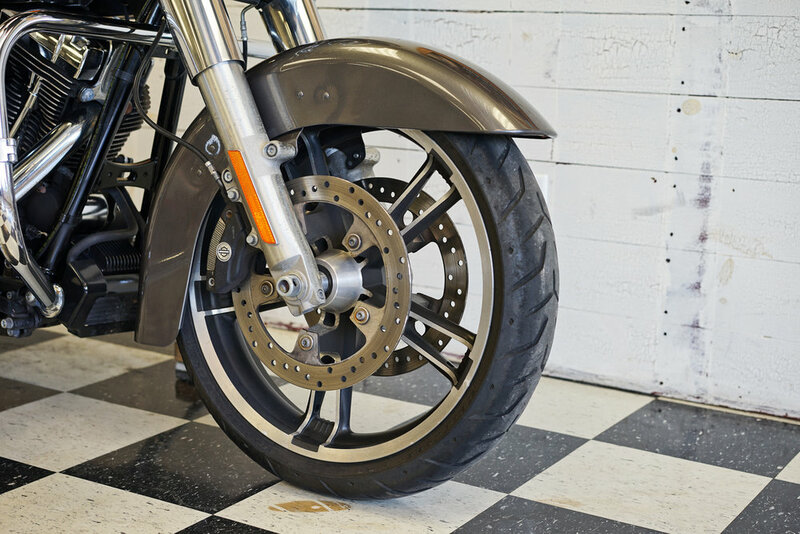 The bike also has a new battery and a new rear tire.